Recently my youngest son decided to enter an art contest at his school. His ambition to create a masterpiece set him on a journey with his brother’s digital camera to take the best picture he could find. He took pictures of our dog, our neighbor’s dog, and the flowers in our garden. And then he began to zero in on the flowers. 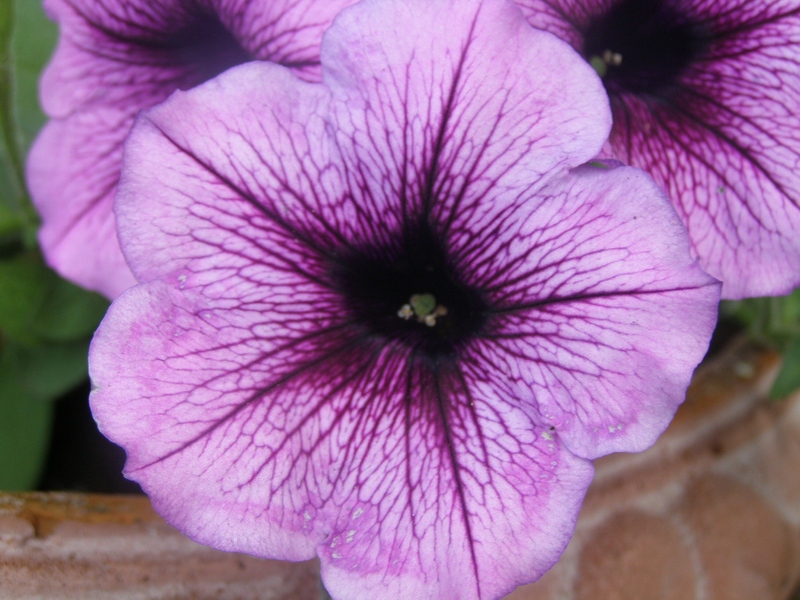 Focusing the camera lens intently on a specific purple petunia, he zoomed in to the center of the flower, fully capturing the abundant array of lavender shades that majestically displayed a colorful intricate petal design from the inside out. Once developed and framed, the result of his wholehearted creative effort was a photographic work of art that he titled, Spring Fever! While Seth didn’t receive an award for this spectacular picture, his dedicated effort gave him something worth much more. It actually rewarded him with the personal fulfillment of discovering an intrinsic gift from God that he was able to use to capture a glimpse of God’s creative glory and share it with others. And yes…we can do the same thing if we choose to seek God’s creative glory in us and then share it with others through God-inspired service enthusiasm. However, as the Lord’s camera lens zooms into the center of our being, our core attitudes can illuminate one of two opposite life pictures: 1) an ugly self-inspired life expression of our gifts and talents that serves no one but ourselves or 2) a royal God-inspired life expression that unselfishly serves others with a spirit of wisdom and excellence as unto the Lord Himself. Joyce Meyer, well-known published author and speaker, says that “our attitude is our thought life turned inside out.” This means that whatever we think on the inside comes out in the form of our attitude towards life and people. So if we sincerely want to change who we are on the inside and make a real difference in life, we must ask the Lord to renew us through repentance and the power of His Word. The Apostle Paul in Romans 12:2 exhorts us as follows: “And do not be conformed to this world, but be transformed by the renewing of your mind, that you may prove what is that good and acceptable and perfect will of God.” With a spirit of faith and humility, abandon yourself wholeheartedly to the Lord – the good, the bad, the ugly – and you will find Him ready and able to change you from the inside out into a masterpiece of His unfailing love and grace to do His will! The Make It Happen Moment ® Living Inside Out Copyright 2008, The Make It Happen Learning Institute. You have permission to reprint The Make It Happen Moment ® Living Inside Out, in its entirety only, and forward to your colleagues and friends, provided the copyright notice remains part of the reprint and transmission. All other rights reserved.